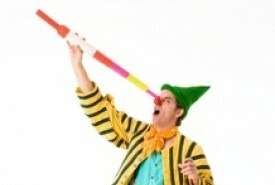 Hire Children's / Kid's Entertainers in London, United Kingdom - No Agency Fees! Children love having their own entertainer for a few hours. 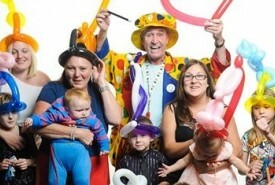 For a small group or children's party it is incredibly exciting. 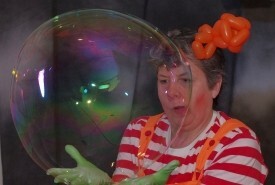 Discover more about Children's Entertainment in London. 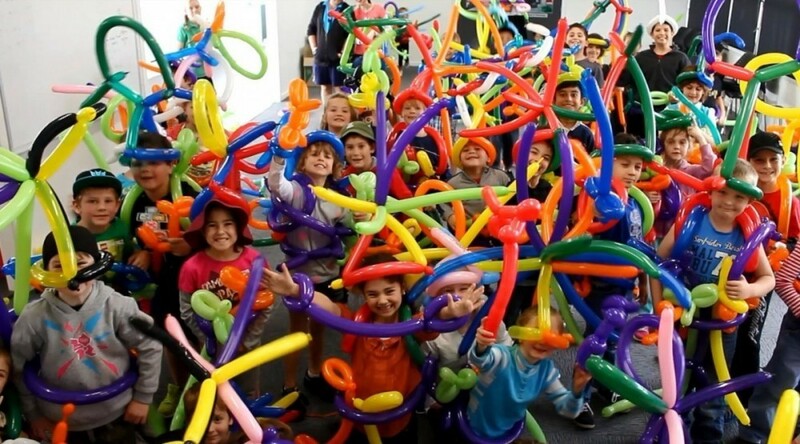 Children revel in a party atmosphere and having their own entertainer for a few hours is incredibly exciting. It provides a source of focus in the day and allows them chance to use their imagination and engage with new experiences. 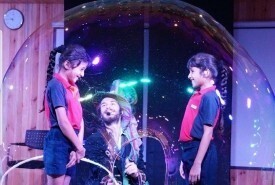 Whether you go for Bubble Perfomers, the entrancing world of Puppetry, crazy Clowns, Story Tellers or the joyful skills of a talented balloon modeller, you'll have a few hours of respite and the children will be utterly absorbed and safe in the company of an experienced children's entertainer. 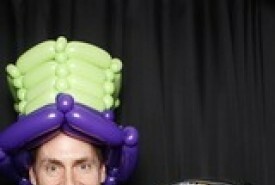 Entertaining Children at a Wedding with magic! One of the most popular choices for children's entertainment is to book acts that will both amaze and amuse kids at many types of events. For example some couples that are happy for their guests' children to come to their wedding will book a magican to keep them entertained and occupied at various stages of the day. 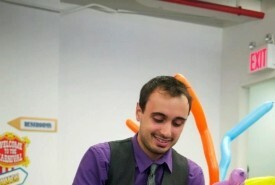 Take a look at the many types of magic acts available to book in London and Worldwide. If you're in town and looking for inspiration for your next party, why not take a stroll along to St. James's Church in Islington and visit the Clowns Gallery. It's got a fascinating history - since the acknowledge "father of clowning" was the great Joseph Grimaldi and St. James's Church is his burial place. 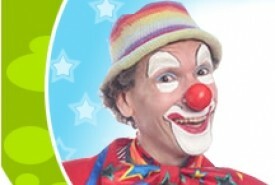 In recognition of the work he inspired, the Church has a special gallery and museum dedicated to Clowns. It's both beautiful and surprising - check out the details for opening times and enjoy the extraordinary sight of stained glass windows depicting Clowns in all their glory! Holy Trinity Church in Dalston is now the home of the annual Joseph Grimaldi Memorial Service. It is usually scheduled for February and it's one of the most surreal and gorgeous sights you'll see in London; the perfect tonic to a grey winters day! Find out more on the website. 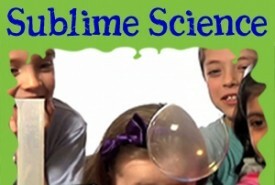 Alternatively, if your young ones love science and slimy experiments, you can't access a better experience for them than at South Kensingtons' renowned Science Museum - the interactive shows are always changing - and they often include Bubble Technology - the art of blowing giant, multicoloured bubbles big enough to hold a family car! Saw Mad Dom at the Austin social club absolutely brilliant not only did he entertain the children the adults loved it too! Bradley is so talented and friendly! 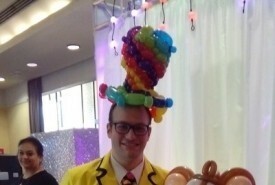 Several guests commented that balloons were the best they'd ever seen. Really looking forward to working with you again in the future. Maxwell is absolutely brilliant. Really professional, extremely creative and an amazing technician. He performed at our daughter's 5th birthday party today and everyone - kids, parents, everyone, were totally captivated, spellbound, enraptured. Amazing! We will be talking about it for weeks. A must see.